Welcome! The Lutheran Church of the Messiah (hereafter, Messiah) is a body of forgiven sinners trying, usually badly, to follow Jesus Christ. We are grounded in worship of the Triune God and guided by the Holy Spirit. Following the example of Jesus’ first disciples, we gather at the beginning of each week to celebrate Jesus’ life, death, and resurrection. We come to receive gifts from God: to hear God’s Word and to share a meal that Jesus called his body and his blood. Through these gifts, God changes us, comforts us, and refreshes us for the week ahead. With the Holy Spirit at work in us, we grow up into the salvation we have from God (1 Peter 2:2). Please join us for Christian Education and worship on Sunday! If you have questions that aren’t answered on the website, please click HERE to send a note to our pastor. Adult Education meets in the parish building lounge – enter from the door facing Cedar Lane next to the parking lot. Sunday School meets in the fellowship hall in the basement. Everyone is welcome to attend Christian Education classes and worship services. You don’t have to be Lutheran. You don’t have to be Christian. You don’t have to have it all together. Worship is where every one of us belongs. We welcome visitors, and you are welcome to attend a worship service without participating. It’s what we’re made for. We are God’s creatures and God is worthy of our worship. When we worship, we remember and express who we are and whose we are: God’s creation, sinful but redeemed. In baptism, God calls us his own children, inspires us with his Holy Spirit, and links us to Jesus Christ, crucified and risen from the dead. In worship, God feeds us with his Word and Holy Communion. Almost every Sunday service at Messiah includes both. At the time of Holy Communion, worshipers come forward to the altar rail. In keeping with the apostle Paul’s instructions to the Christians in Corinth in 1 Corinthians 11:17-29, we have a Communion policy, available in Sunday service bulletins, which we ask anyone planning to receive Holy Communion to read beforehand. Please contact the pastor if you have any questions about Holy Communion. 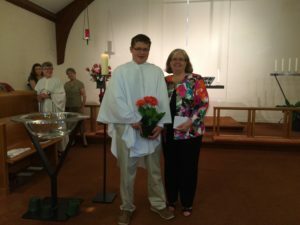 If you are unable to walk to the altar rail safely to receive Holy Communion or a blessing, notify an usher and the pastor will serve you at your seat. More important than what we do for God is what God has done for us. We do not have a dress code. Worshipers at Messiah aim to dress respectfully without being uncomfortable or distracting. Children are important. We welcome them, invest in them, and include them in worship. Sunday School is open to children pre-K through eighth grade. If middle school students prefer, they may join high school students and adults in the adult education class (Adult Forum). Sunday worship services almost always include a children’s sermon, at which children of all ages are welcome. 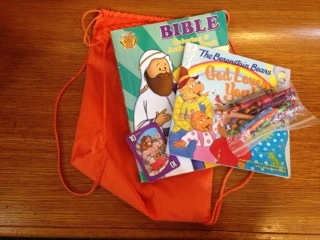 We have children’s activity backpacks in the back of the church for use during the service, as well as an unstaffed nursery downstairs. Feel free to ask an usher for help locating them. The stairs are at the back of the sanctuary. If your child begins to be restless or noisy, we encourage you to use the nursery. The service is audible through the speaker in the nursery. The earth is the Lord’s and everything in it (Psalm 24:1). All that we have belongs to God. As managers of God’s resources, we support God’s mission in the world through the church. Visitors are neither required nor expected to contribute to the weekly offering collection, which is part of Sunday worship services. Yes. The order of service is printed in the service bulletin distributed by the ushers. 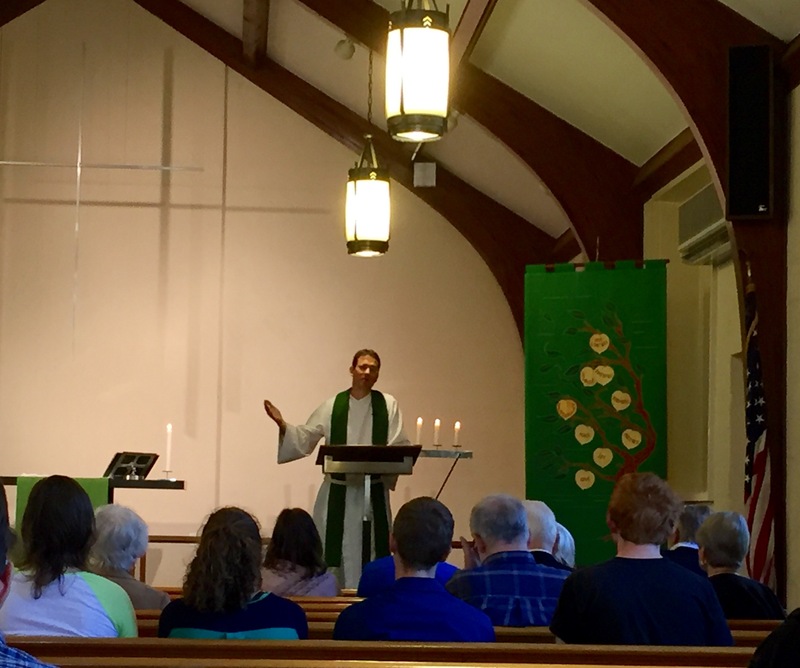 Worship at Messiah typically begins with an instrumental prelude and concludes with a postlude. 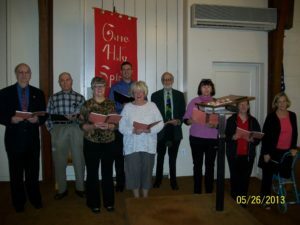 Hymns are found in the green Lutheran Book of Worship (LBW) and the blue paperback With One Voice (WOV) located in each row. Hymn numbers below 600 are generally in LBW; above 600, in WOV. The pastor’s parts (spoken and sung) are designated “P:”. Parts spoken or sung by the congregation are italicized, prefaced by “C:”. The text of the liturgy is included in the bulletin; where a page number is listed, both text and music are in the LBW. If you need any assistance, don’t hesitate to ask an usher or someone nearby for help.